Now that we are on a roll, we have our Christmas Village up and running lets keep going. I don't know about you, but I don't think Michael Bublé singing Christmas tunes ever gets old so put that 'ish back on and lets get moving! 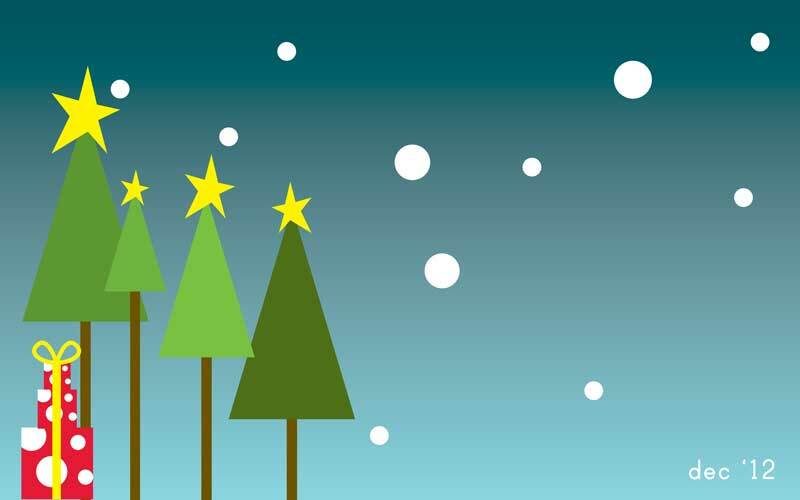 You can't possibly be in mood for the Holidays with that boring desktop image! You have to get your head in the game to be in it to win it, so download the desktop wall paper here and then we can continue. OK, that's better. You will learn over time how much I adore the dollar store, although, lets be honest, nothing is EVER a dollar, but it sure is cheap. I snatched up some cheap-o Christmas lights but they needed a bit-o-love. 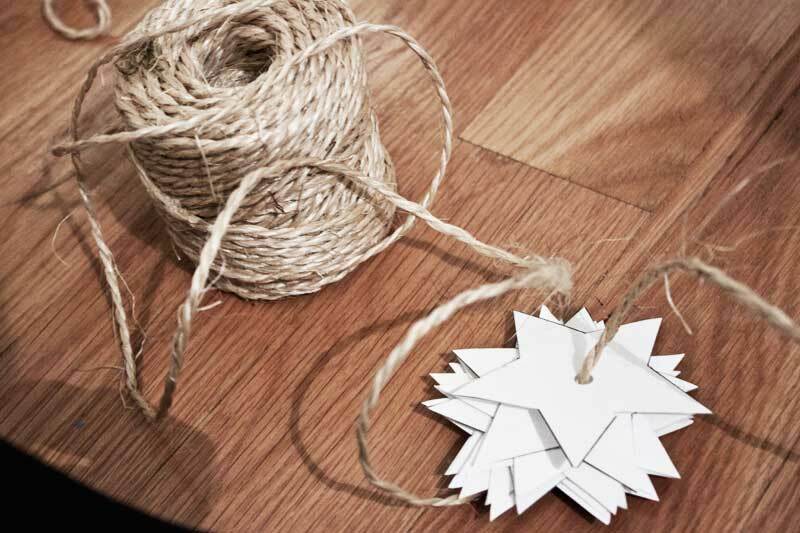 I also grabbed some twine (which was actually 99¢) but you can really use anything, ribbon, garland etc.... and I printed out some stars, click here to download my star file. Other than that, you just need a bit of patience and a small hole punch. 1 / Download and print the file. If you have cardsock, use it, if not plain white paper will be fine. 2/ Cut out the stars (I cut out 20). 3 / Punch a hole in the center. 4 / String them along the twine (or string of your choosing). 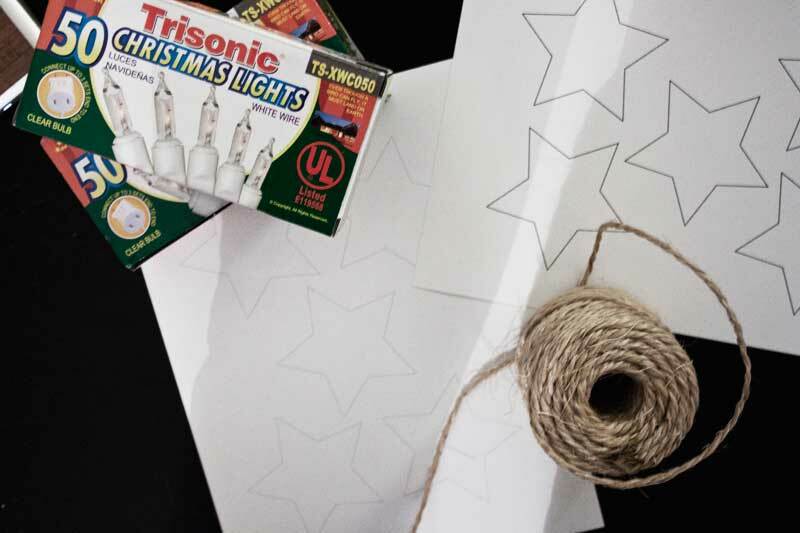 5 / Twist the twine around the string of lights and start inserting the bulbs into the holes you punched in the star. 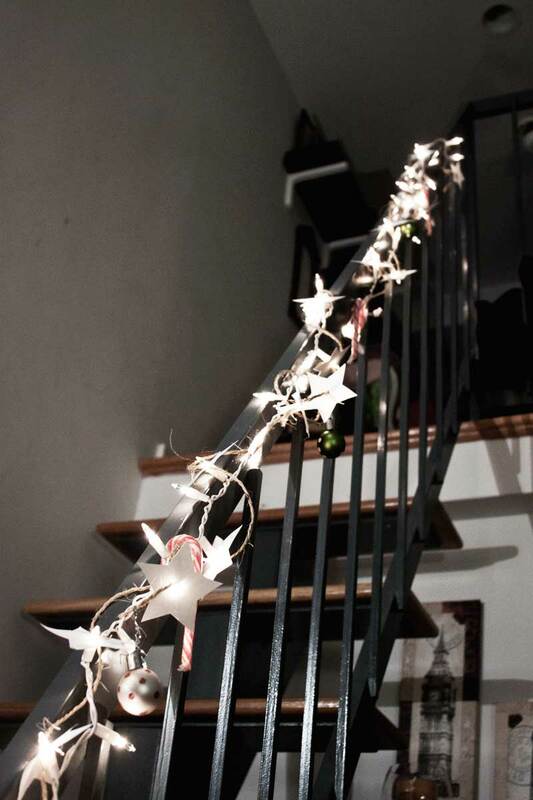 Only put a star on every-other light or it will get too cramped. Make sure you leave the twine loose and twist it all around the sting, it wil give a lovely sense of movement. Keep on going until you get to the end. Look how pretty! 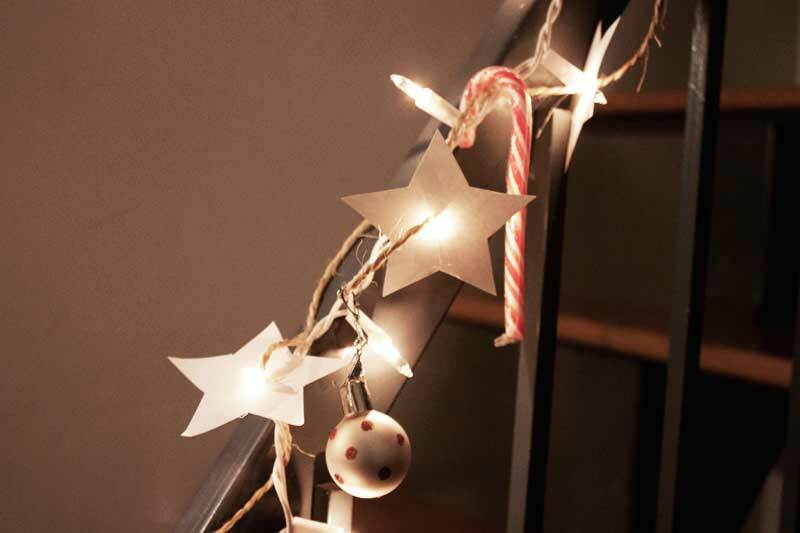 I hung ours on the stairs leading upstairs, but you could really just thumb tack them to the wall, or wrap around your tree! Be warned, BE CAREFUL WITH YOUR LIGHTS! I got halfway done and went to test plug-em in and they were not working anymore and I had to start over! Luckily, I had a second box, so I kept it plugged in while I added the twine and stars just to be sure! While I was at the Dollar Store, I grabbed some candy canes and Christmas balls (they were only 5 for $1!) so I hung them along the twine as well. TA DA! Its starting to feel like the holidays in here, wait until you see the recipe and free download I have for you on Friday! I'm designing, decorating AND baking, what are you doing to get in the Holiday spirit?